I practice and teach Insight Meditation, also known as Vipassana or Mindfulness Meditation. The basic idea is bringing our attention into the present, and through that developing a deeper self-understanding that allows us to respond to life instead of react to it. For example, it might help us feel completely at peace & even smiling when someone cuts us off in traffic, instead of getting irritated or upset. One of my specialties is teaching how our “formal meditation” practice can carry over into our real life, and we discover benefits like heightened self-love, greater ease in our own skin, a deeper focus on what’s important, and an ability to weather any storm (e.g. anxiety, depression, loss, illness, or, quite literally, stepping in a puddle). What’s the difference between “formal” and “informal” meditation? 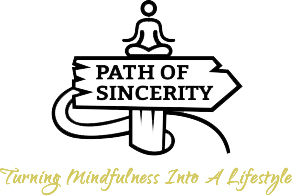 Is intensely focusing on studies the same thing as Mindfulness? How do I work with sleepiness in meditation? I’m worried about my meditation posture – what should I do? How do I work with thinking in meditation? 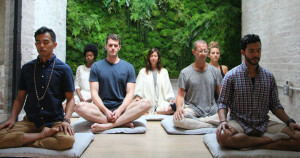 What gets people to ACTUALLY meditate? What should I do with strong impulses when meditating?